Are you having a tough time trying to find the best wooden toy boxes? If so, you’ll be glad to hear that we’ve researched and reviewed what the best options have to offer for you and your little boy or girl. So, all you need to do is have a read through the list below to learn more. A buying guide section is also available at the end to provide you with additional information to help you feel confident about your choice! KidKraft’s Limited Edition Toy Box comes in a fantastic Espresso color that look great in all rooms. 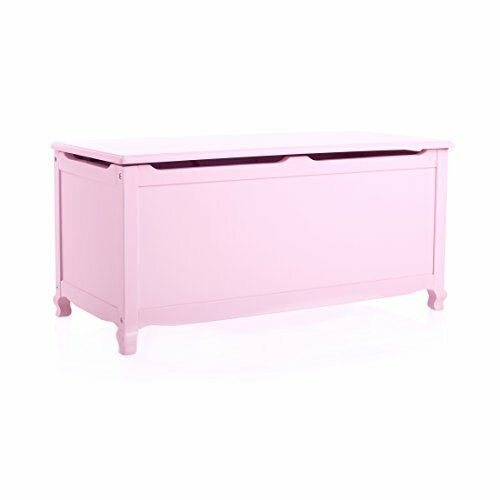 We liked how it has a lacquer finish as it provides the toy box with an awesome aesthetic appeal. It has been constructed using rubber and wooden materials. Therefore, you can feel confident in knowing that it will be durable and last for years. We were impressed with how it can be used as both a toy box, as well as a bench for kids to sit on. This is a fantastic feature which allows you to turn the toy box into additional seating if you had a group of people over. The top lid has a safety hinge to ensure that it keeps your children safe from being injured. As a result, kids are able to use this toy box by themselves without any issues. We liked how this toy box can be used to store toys as well as be used for additional seating as it doubles as a mini bench for kids to sit on. Melissa & Doug’s Wooden Toy Chest has been made with high grade wooden materials. Therefore, you can feel confident in knowing that it will last your child for years of use. It comes with a total of 8.25 cubic feet of storage available, which is plenty to store all of your child’s toys and other items. We liked how there’s a safety hinge built-in to the lid. This ensures that kids are able to open and close it safely. As a result, they’re able to use the toy box on their own, which encourages them to keep their rooms tidy, even if you’re not in the room with them. Parents have also been glad to find that this toy box is easy to assemble. All you need is a Philips head screwdriver and you can have it set up and ready to use in not time. Furthermore, it’s easy to clean as it can be wiped down, which makes maintenance a breeze. The safety hinge available with this toy box makes it super easy for kids to use on their own without being injured. Assembling and maintaining this one is also easy. This Austin Espresso Toy Box by KidKraft is available in range of different colors. They include vanilla, espresso, pink, cherry, natural, honey, and white. So, you can be sure that you can find the perfect color that will match with your child’s room. There’s a safety hinge available with the lid which stops it from dropping down suddenly and being dangerous. Therefore, children are able to use this one on their own without concern. Parents find that when their kids are able to use the toy boxes independently, it helps them to keep their rooms tidier. The construction of this one included high-quality wooden materials. Therefore, you can feel confident in knowing that it will last for years to come. We also liked how this toy box can be used as a bench. So, it has a 2-in-1 design and creates an additional seating space in your child’s room. 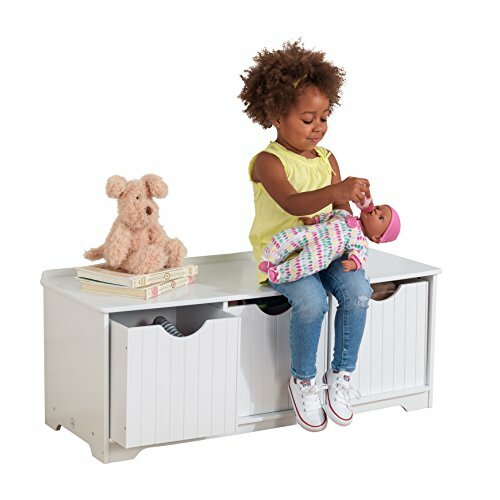 We liked how this toy box can be used as a way for kids to safely store away their toys, while also being able to use it as a bench to sit on. 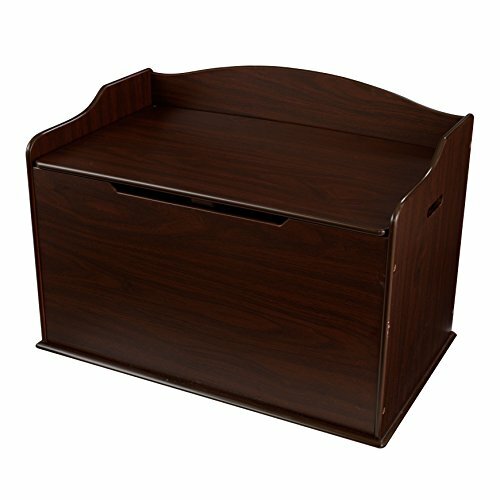 The SONGMICS VASAGLE Lift Top Entryway Wooden Toy Box has been designed with a lid that opens and closes slowly. Therefore, you don’t have to worry about your child’s fingers getting caught while using it on their own. It also comes with handles built-in to the design which make it very easy to carry around. So, you can be sure to easily move it around your home if you need to. We also liked how the brown design makes it the perfect piece of decor to add to your child’s room. They have used medium density fiberboards and wooden materials to construct this one. As a result, you can feel confident in knowing that it will last your child for years to come. This is an excellent option if you were looking for something that fits in nicely with the decor of your child’s room, while also being easily transportable and safe for kids to use on their own. 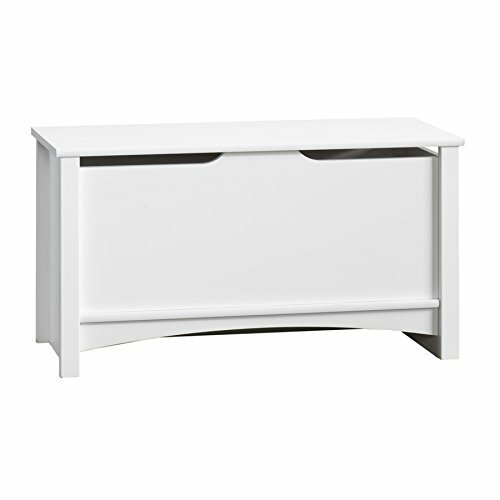 Kidkraft’s Nantucket Storage Bench has been created using high grade wooden materials which ensure that it remains durable for years ahead. Parents have been pleased to discover that the instructions provided make it super easy to set up. There are three storage spaces inside which kids can use to organize how they want to store their toys, books, and other items. Moreover, we were impressed with how this one can be used as for storage, as well as a seating area. This is because of the area that’s available on top of the box when the lid is shut. There’s room for kids to sit on top which means that they’re able to use it as an extra seating space in their room. This is a great choice for parents after something that’s easy to assemble. Kids also love using it to organize their items, while also being able to use it as a mini bench. Melissa & Doug’s Wooden Toy Chest has been made using high-quality cherry wood materials. Therefore, it’s incredibly durable and can last for years while being used frequently. It comes with a total of 8.25 cubic feet of space, which is plenty to store away your child’s items with ease. We liked how there’s a safety hinge available on this toy box with a lid. This makes it super easy for kids to open and close the toy box without being at risk of hurting themselves. This safety hinge feature also ensures that the lid isn’t prone to being damaged easily. Parents have found that they like the bigger size of this box since it allows them to fit more of their children’s toys inside. The safety hinge also makes it easy and safe for kids to use on their own. This DIBSIES Personalization Station Modern Expressions Toy Box enables you to add a customized word onto the front. 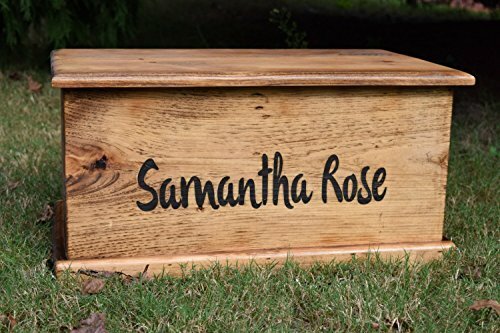 Therefore, you could put your child’s name on their toy box to add a more personal effect. We liked how they use a printing process for the personalized words as they’re a lot more durable. There are safety hinges available on the lid which are effective at keeping your child’s fingers safe. Therefore, you can feel at ease knowing that your kids are able to use the toy box safely without supervision. We were also impressed with how this toy box can be used as a bench as well. 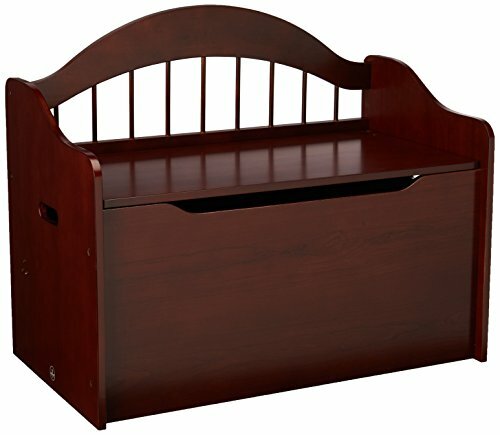 This enables kids to use it as a seat, as well as a storage place for all their toys. In addition to this, there are cutout handles available which make the toy box easily portable if you need to take it somewhere. 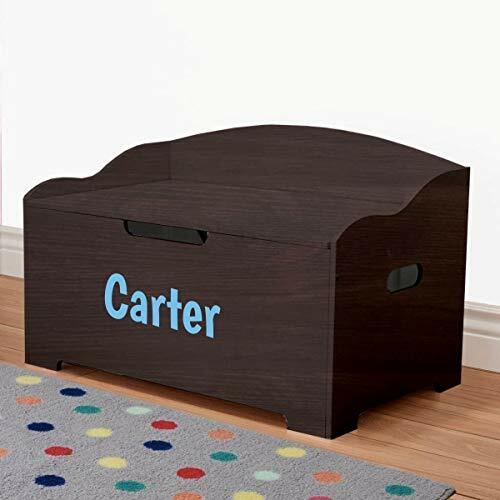 We liked how this toy box can be used as both a storage for your child’s toys, as well as a mini bench for them to sit on. 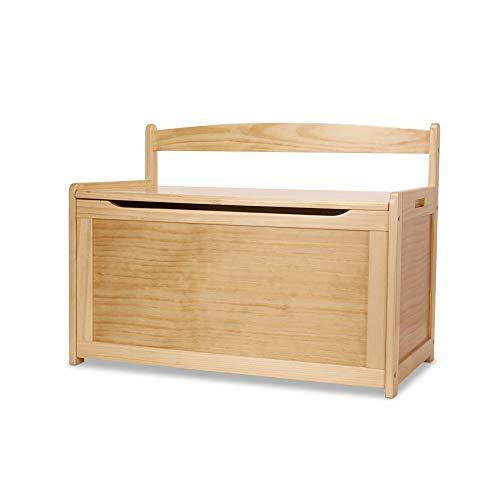 This Delta Children MySize Deluxe Toy Box has been constructed using high grade wooden materials. As a result, you can feel confident in knowing that it will last your child for years of use. So, kids will be able to stay in the good habit of keeping their rooms tidy for a long time with this one! They’ve implemented a slow-closing lid feature which works due to the safety hinges that are available. Therefore, your kids are able to use this toy box on their own without putting themselves at risk of being injured. 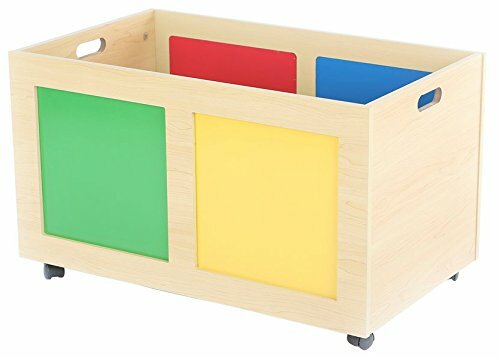 This is an excellent toy box that comes with a slow-closing lid feature which keeps your child’s fingers safe when they’re using it on their own. 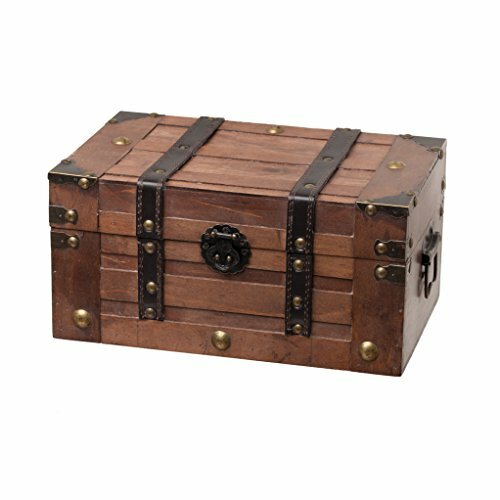 The SLPR Alexander Wooden Trunk Chest with Straps comes with a fantastic vintage wooden design that looks incredible in any room. We were impressed with how they’ve used decorative straps as it provides the trunk chest with a great visual appeal. Therefore, you’re able to set it up in your child’s room and have it look like a fantastic piece of decor, rather than jut being a toy chest. It can be used to fit your child’s smaller toys in one place to ensure that their rooms remain tidy. We also liked how they’re used plywood materials and faux leather as they’re very durable. As a result, you can expect this toy chest to be used for years ahead. The vintage design of this toy chest is fantastic as it looks like an incredible piece of decor that also keeps your child’s room clean and organized. This Lipper International Child’s Toy Chest is ideal for encouraging your children to clean up their toys after they’ve finished playing to keep their rooms tidy. We like how they’ve implemented a slow-closing lid feature which works as a result of the safety hinge that’s available. So, kids are able to use this toy chest on their own safely. 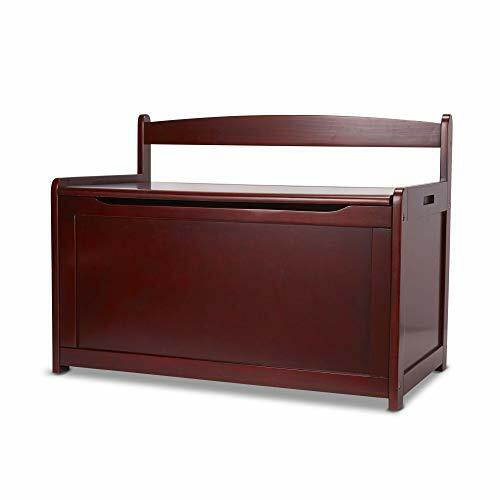 We also liked how this toy chest exceeds all of the safety regulations to provide you with a peace of mind. They’ve gone as far as to drill two holes in the back of the toy chest to ensure that air is always able to make its way inside. Therefore, if kids are ever playing and decide to climb in, they’ll be able to get proper airflow. Parents have also been liking how all the hardware that they need to put the toy chest together is included. It makes the assembly process a lot easier! This is a remarkably safe toy box that enables kids to use it independently while also being completely safe. 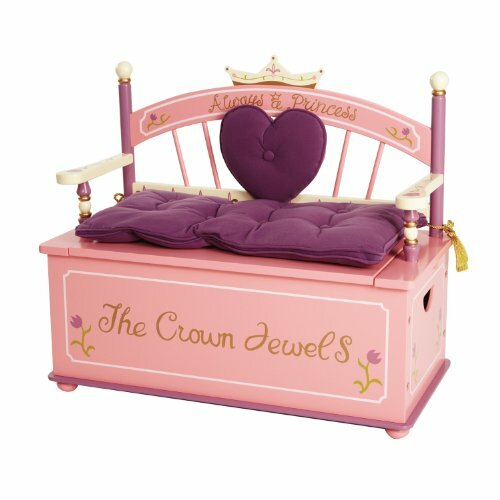 The Wildkin Princess Toy Box Bench features the words “Always a Princess” along with a removable back cushion that comes with Velcro. Therefore, this is a fantastic item that young girls will love. We like how there’s a cushion available as it enables kids to use the toy box as a bench to sit down on it. There are excellent golden tassels on the cushion which tie it down to the bench. This gives it an awesome design appeal. To ensure that kids are able to use this toy box safely, they’ve incorporated a slow-closing lid feature. This works as a result of the safety hinges that keep your child’s fingers protected. So, they can use the toy box on their own safely. Girls have been loving this toy box due to it’s fantastic design and how they’re able to use it as a mini bench to sit on. This Child Craft Shoal Creek Toy Chest has been made using materials and finish that are both safe for kids. They are completely free from toxins which provides parents with a peace of mind. These materials are also of a high standard, which means that the toy chest will last your child for years to come. There’s a hinge that lock in place when you open the door, which make it incredibly safe for kids to use. Therefore, you can feel at ease knowing that your kids are able to use the toy chest on their own safely. The hinge feature keeps kids safe while using this toy chest. Due to the durable construction, you can be sure that this one will last for years of use. 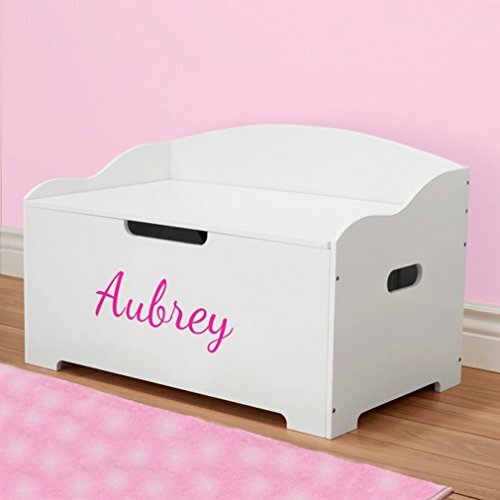 The Personalized Dibsies Modern Expressions Toy Box has been designed with rounded corners and edges that are smooth. As a result, kids remain safe when they’re around the toy box. In addition to this, they’ve used a safety hinge feature on the lid which protects your child’s fingers from getting caught. We also liked how they’ve used high-quality composite wood materials to manufacture this toy box. It’s an effective way to ensure that your kids can continue to use this toy box for years to come. Parents have also been glad to discover that there are no toxins used to make this toy box. Therefore, you can feel confident in knowing that your kids will be safe. 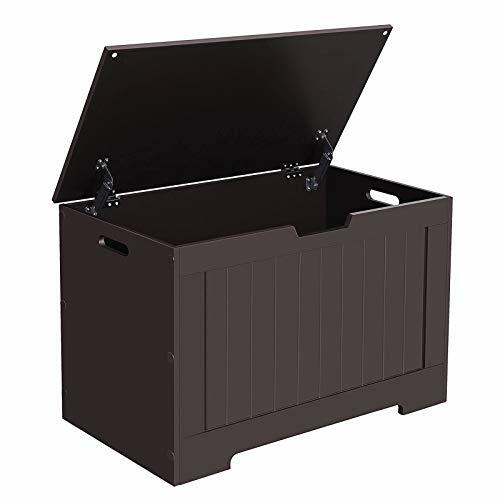 The durable construction of this toy box and hinge feature ensures that kids are able to use this toy box safely for years. 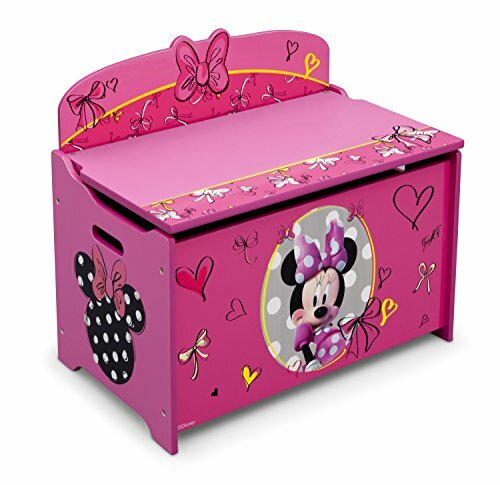 The Delta Children Deluxe Toy Box has an awesome Disney Minnie Mouse design which young boys and girls have been loving. We were also impressed with how they’ve used engineered wood to construct this toy box as it makes it incredibly durable and resistant to being easily scratched. There’s a slow-closing lid feature which works effectively as a result of the safety hinge that’s available. Therefore, kids are able to safely open and close this toy box on their own. In addition to this, all of the corners have a rounded edge design to keep kids even safer. Parents have also been liking how this toy box is easy to clean. This makes maintaining the toy box over the years super easy. Kids have been loving the Disney theme available with this one. They’re also able to use it safely on their own due to the design of the hinges. The Delta Children Deluxe Toy Box has a fantastic Disney Pixar Cars theme that kids have been loving. It has been made using engineered wood materials that are of a high standard and ensure that it will last your child for years. Boys especially love cars so this would be a great option for your son. There’s an excellent safety hinge feature which works effectively to keep kids safe while they open and close the toy box. In addition to this, there is a rounded edge design which means kids are able to use this toy box safely when their on their own. The scratch resistant materials that have been used over the top layer of this toy box keep the Disney design in tact. Parents have also been glad to find that assembling this toy box is super easy. The Disney theme available on this toy box looks fantastic and kids are able to use it safely on their own as a result of the safety hinges and rounded edge design. This Tot Tutors Primary Focus Rolling Toy Box has been constructed using high-quality wooden materials. As a result, you can expect it to last your child for years to come. We liked how they’ve used natural wood materials while also implementing various colors. These include yellow, blue, green, and red. This makes it more exciting for kids to use and helps them to develop their color recognition skills. The storage space inside is large enough to fit all of your child’s toys, and more. The design of this toy box makes it a wonderful addition to a child’s bedroom. Parents have also been glad to find that it’s easy to assemble and begin using without any hassle. The colorful design that’s available with this toy box makes it more fun for kids to use and improves their color recognition skills. This Kids Toy Box has been made with high-quality wooden materials. Therefore, you can feel confident in knowing that it will keep last your child for years of use. We also liked how it’s large in size as it allows you and your child to store a lot of their items away to keep their rooms tidy. The slow closing hinge feature means that kids are able to use the toy box safely and on their own. We were also impressed with how you can get engravings on the front of this toy box. These engravings can be personalized specifically for your child. They use laser technology to ensure that the engravings remain clear for a long time to come. 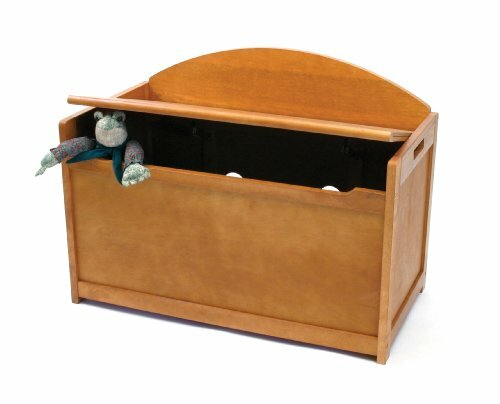 The slow-closing lid feature keeps kids safe while they’re using this toy box. We also liked the personalized engravings as it makes the toy box more special for children. The Guidecraft Manhattan Toy Box is spacious on the inside which means that kids are able to store away all of their toys to keep their rooms tidy. We also liked how they’ve used high-quality materials to construct this set as it ensures that it remains durable for years to come. They have also implemented a safety-lid feature which allows kids to use it on their own without injuring themselves. This is a result of the sow closing feature which means no fingers will be getting trapped! There are also cut-out handles available which make it easier to move this toy box around. Parents have also been liking how this toy box is easy to assemble. They’ve included some great instructions that come with pictures to make the process as simple as possible. This toybox is easy to assemble and super safe for kids to use because of the slow-closing lid feature. Now that you’ve had the chance to read through the cool to boxes that are available for kids, you can start to focus on the ones that caught your attention the most. If you were looking for some additional guidance on which one you think would be best for your child, you’ll want to take a look at this buying guide section. You can find more information on the different types of toy boxes that are available, the genders that they suit best, as well as the kinds of benefits you can expect to experience by using them. After reading through our review above, you will have seen that there are different options available. There are also other types of toy boxes available too. In order to help you easily distinguish between the various kinds of toy boxes, take a look below. There are some toy boxes available that come with a book shelf. These are fantastic for being used as a multipurpose toy box. Kids are able to use it to store their toys, while also being able to keep their books all in one place. Therefore, if you were looking for something that could keep your child’s toys and books in order, a toy box that features a bookshelf would be a fantastic choice. We’ve included a number of toy boxes in this review that can be personalized. These make for fantastic additions to your child’s room and they provide kids with a more personal touch. As a result, this could encourage them to want to tidy up their rooms more often. 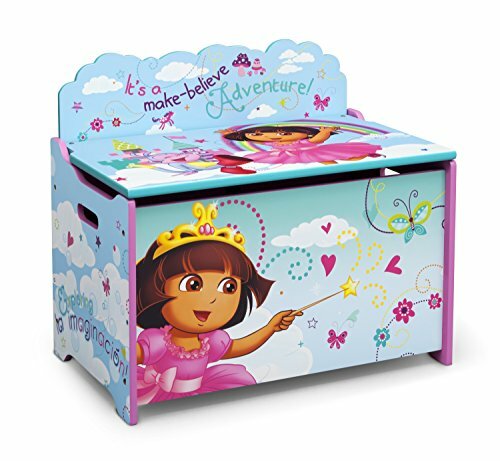 The toy boxes that can be doubled as mini benches are very popular. This is because kids love being able to it as a way to store away their toys, as well as being an extra seat in their rooms. There are some toy box benches that even come with cushions to ensure that kids are able to remain comfortable while sitting on top. There are a couple of different portable options available which include the ones that have handles, as well as the toy box on wheels choices. Both of these toy boxes are easier to transport if you need to move them around to different rooms in your home. One of the most important factors to consider when it comes too choosing a toy box is the gender of the child that you’re buying it for. To learn more about the kinds of colors that boys and girls prefer, have a quick read of the section below. Boys usually prefer colors that include blue, green, yellow, and orange. So, if their rooms are already a mix of some of those colors, choosing a toy box that includes those colors would be a good idea. This would make the toy box a great additional piece of decor to your little one’s room. Girls, on the other hand, tend to prefer purple, pink, and red colors. Similarly to boys, if their rooms already include these kinds of colors, it would be best to pick a toy box that fits with the rest of their room. There are a range of fantastic benefits that you and your kids can experience when using toy boxes. To learn more about what these benefits are, take a look below. The biggest benefit to having a toy box is that it helps kids to keep their rooms tidy. This is especially the case with the options that come with safety lids available. Children are able to use them on their own to ensure that their rooms remain tidy after they’re done playing. This is also a great way to introduce your kids to a little bit of independence and responsibility from a young age. Depending on the toy box that you choose, you could experience a couple of different benefits in one. 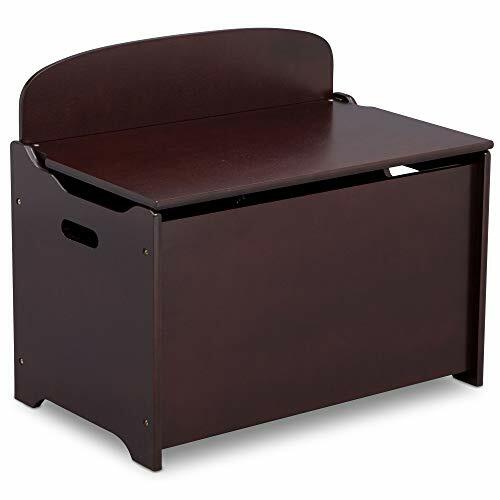 This is the case with the options that can be used as both a toy box and a bench. They make a great addition to your child’s room decor and provide them with more seating areas which they can use while they have friends over. Hopefully, we’ve provided you with everything you need to know about the best toy boxes that are available for little kids. Be sure to read through all of the main features, pros, cons, and what makes each of the options stand out. That’s what will provide you with the necessary details to make your final decision. If you still weren’t feeling confident on your choice, you can use our buying guide to gain further information.